The Sodium Tripolyphosphate, which we offer, is processed using premium chemicals that are sourced from reliable Vendors. 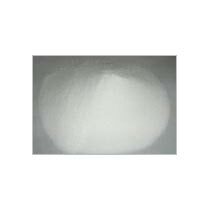 We are among the dependable Suppliers and Exporters of Sodium Tripolyphosphate. Definition : STPP is a solid inorganic compound used in a large variety of household cleaning products, mainly as a builder, but also in human foodstuffs, animal feeds, industrial cleaning processes and ceramics manufacture. STPP is widely used in regular and compact laundry detergents and automatic dishwashing detergents (in powder, liquid, gel and/or tablet form), toilet cleaners, surface cleaners, and coffee urn cleaners . It also provides a number of chemical functions including: sequestration of "water hardness", enabling surfactants to function effectively; pH buffering; dirt emulsification and prevention of deposition; hydrolysis of grease; and dissolving-dispersing dirt particles.